When The New York Times asked readers how to fix baseball, we all neglected to consider the obvious answer: cats. 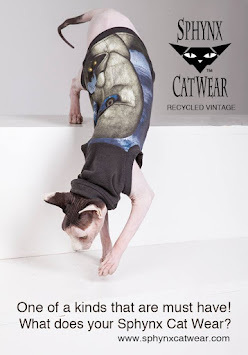 Seldom does traditional baseball please a crowd the way a renegade feline scampering across the infield can. Few home runs are as gratifying as a groundskeeper futilely chasing a cat who is having absolutely no part of it. On Tuesday, fans of the Miami Marlins were delighted to stop watching baseball for a bit as a stray cat evaded capture in the outfield. 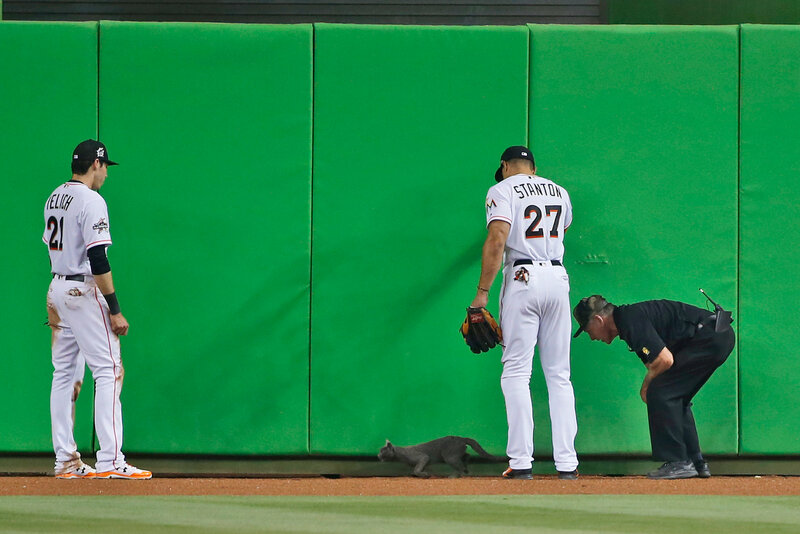 Giancarlo Stanton, the Marlins’ all-star right fielder, tried to directly approach the cat as it burrowed under the outfield wall. An overconfident Marlins employee tried to pet the cat, who declined the overture and scurried away. A pink advertisement for T-Mobile on the outfield wall caught the cat’s eye, and it leaped toward the heavens, scaling the advertisement. For a moment it seemed stuck under a yellow ledge, but it proved no obstacle as the cat found its way higher, above the outfield wall and clear of the field. The cat settled itself away from the dirty hands of humans on a gaudy sculpture that lights up, sprays water and does other gaudy things on the occasion of each Marlins home run. It lay down on a portion of the sculpture painted to look like water but found no tuna or minnows. Yes!! Kitties make baseball MUCH better! Ooooh can someone suggest we have that with cricket over here, as that is way too boring!